Today’s freebie has some amazingly happy colors that are making me smile every time I look at them! Twelve large cheerful pineapples with pretty blooms on top of them (because I always try to live by my “put a flower on it” moto) are yours for the taking! 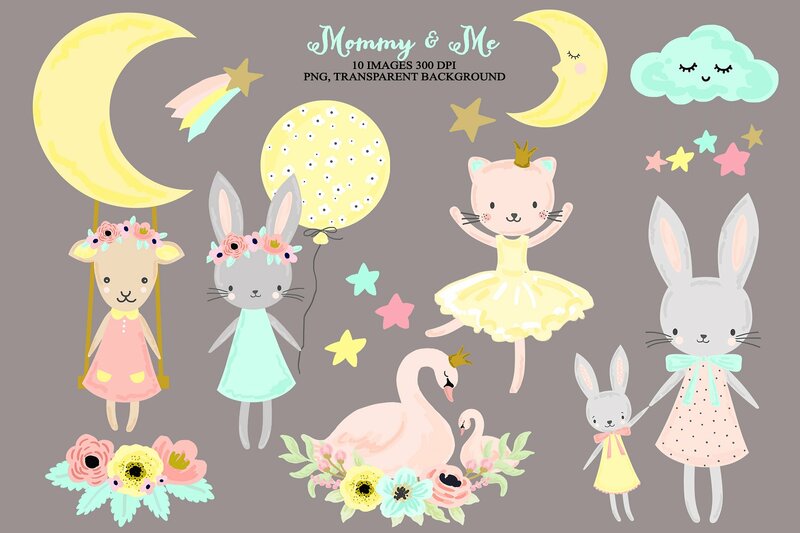 The flowers were inspired by this lovely mommy and me collection that I found over at creativemarket.com and I was completely smitten by them to say the least! But, since they didn’t come in separate floral elements, I decided to make my own version of them to inturn create my own floral bouquets to add to my pineapples. My free pineapple clipart collection can be used them on shirts, mugs, digital paper, planners, gift boxes, cell phone cases, invitations and so on! • To Download Directly Click HERE! Thank you very much for this really cute and colorful pineapples!